You are here: Home / Jewelry / Brooches / Jewelry gift guide: under $50. Jewelry gift guide: under $50. 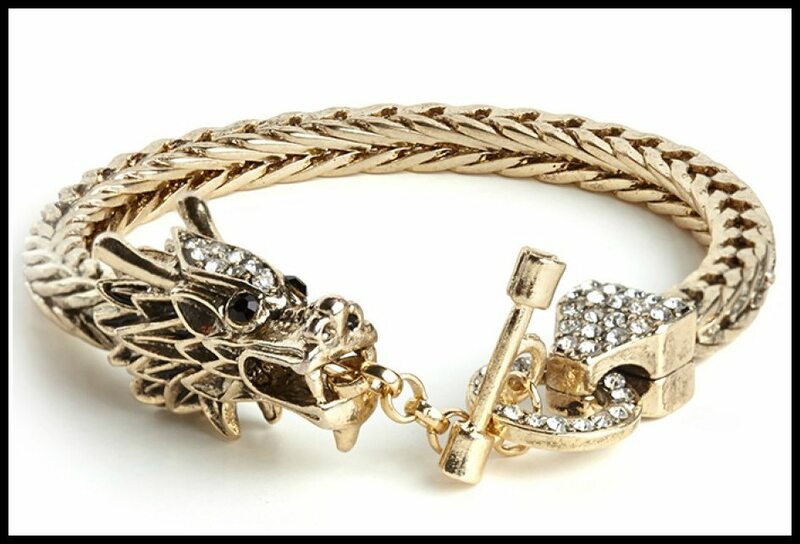 Welcome to the second edition of Diamonds in the Library’s jewelry gift guide! I’m too late for most of Hanukkah this year, but there’s no bad time of year to give the gift of bling. Beautiful jewelry can be expensive, but it doesn’t have to be. Today we’ll be looking at pretties that cost less than $50. Pieces like this are ideal for gifts for friends, cousins, yourself, or anyone if you just prefer to keep your spending in the double digits. While we’re saving money: there are fabulous Cyber Monday jewelry sales all over the internet today, especially at department stores like Nordstrom, Shopbop, and Last Call and many individual boutiques like Gorjana, BaubleBar, Lulu Frost, Kendra Scott and Wendy Brandes; as well as Charm and Chain and Max and Chloe, two of my fave online jewelry stores. There’s a decent chance everything in this post is on sale today. I’ll be inching upwards in price with each new gift guide – tune in tomorrow for $50 – $100. Chic Silhouette Pin in Sheath and in Flare ($16.99). These two are too fabulous for words. Let’s bring back the brooch! 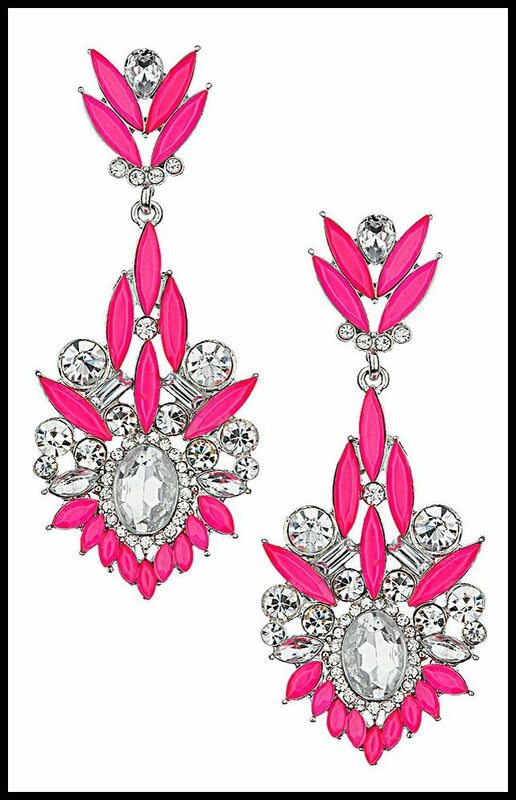 Topshop Pink Mixed Stone Drop Earrings ($37). Because who doesn’t need to channel her inner Khaleesi sometimes? 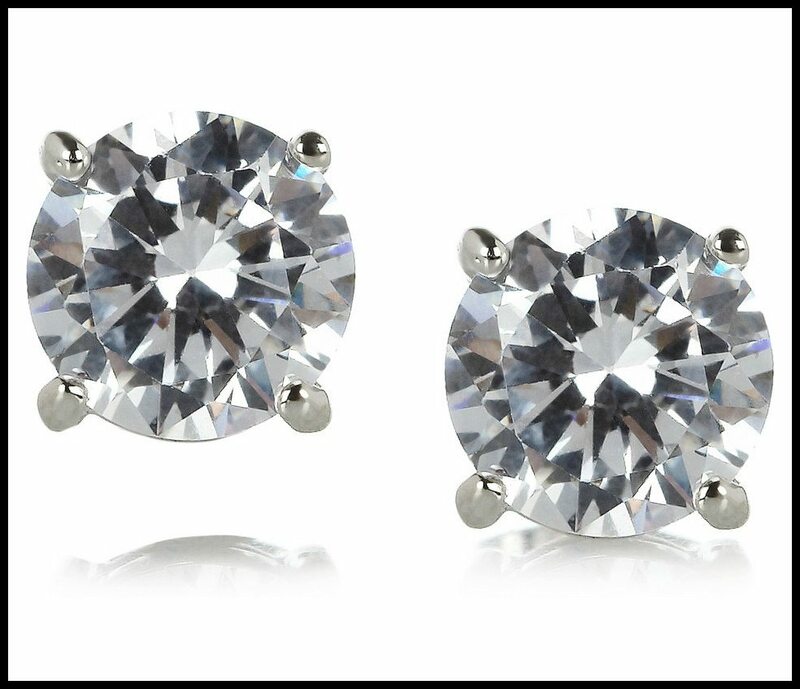 Kenneth Jay Lane rhodium-plated cubic zirconia earrings ($45). An entire row of my earring rack is occupied by flashy CZ studs of various shapes and sizes. My KJL’s aren’t this exact style, but they’re about the same size and I wear them weekly. Tip: CZ by KJL pops up on a lot of sale sites. I got my studs for $30ish on RueLaLa. 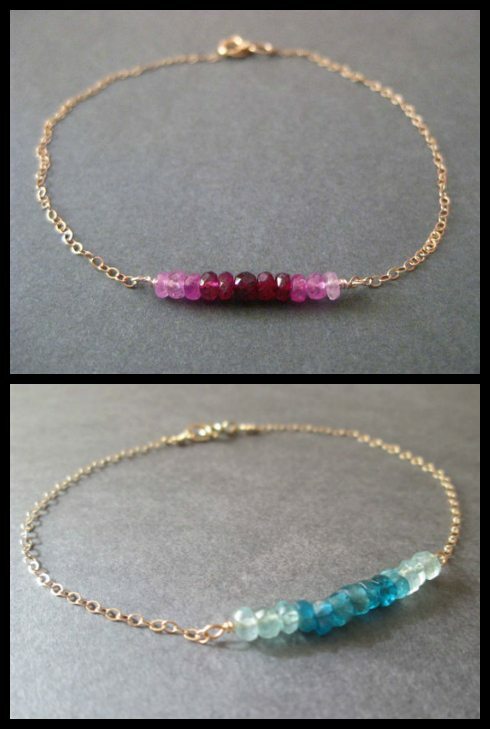 Ombre gemstone bracelets by Robin Designed, shown in ombre ruby and neon blue apetite ($20-$30). This Etsy seller makes delicate, barely-there jewelry using tiny gemstone beads and delicate metal links. There are a lot of chunky necklaces like this floating around right now, but I think this one – with its mixed metal tones and dynamic shape – is especially good. It also comes in several colors. ‘Chelsea’ Small Personalized Monogram Stud Earrings ($48). 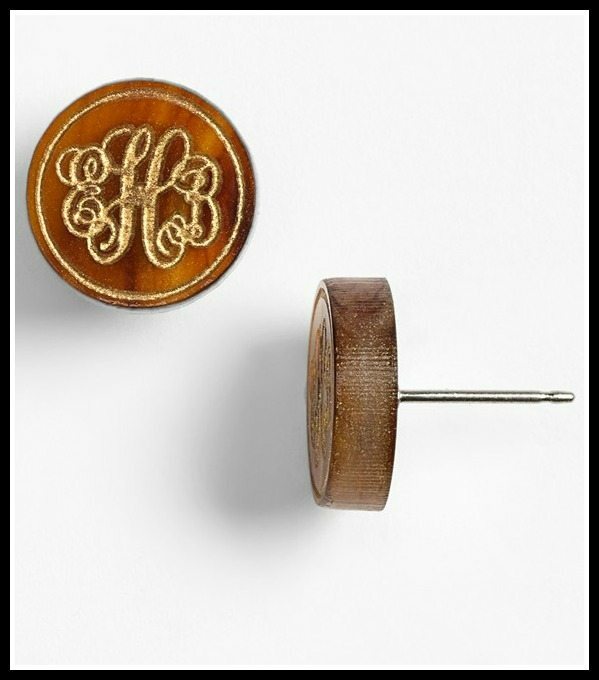 I just love these as a cute, casual monogram. I think the tiger’s eye color (pictured) is fabulous. BaubleBar Teavaro Bib necklace ($36). This is just so cool. The colors! Antique Art Deco sterling silver and pink glass ring, circa 1910s ($48).